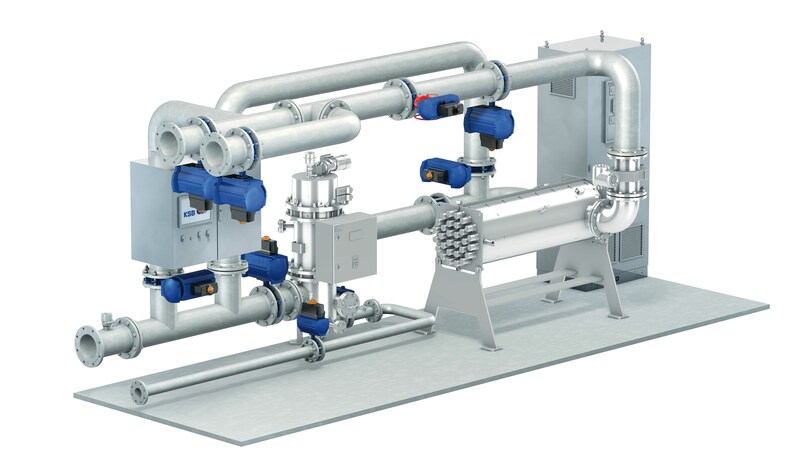 The BWTS consists of an automatic back-flush filter, a low-pressure UV disinfection unit and a system control unit. The automatic back-flush filter is available in two different variants: as a vertical cartridge filter and a proximity nozzle filter. A filter mesh size of 30 µM is being used to reduce the amount of larger organisms. Thus sediment build-up in the ballast water tanks of the ships is minimised. The control unit includes all the necessary functions for efficient operation of the system. It monitors the parameters like flow rate and pressure, provides an overview of the cycle in process and performs data logging for control by the port authority. The complete system with all components can even be installed on vessels with limited space. Since the system works without any chemicals and no by-products are generated during the treatment, there is no need of storing any hazardous chemicals on board of the ship. The successful completion of the different tests is proof of the system’s excellent performance and its capability of coping with highly challenging waters in all parts of the world. The system will be offered in different sizes and covers a range from 200 to 1000 cubic metres per hour. Shipboard testing will be the next step and will commence very shortly.